My brother Dave sent David a book for his birthday. It was a copy of a book that he enjoyed when he was David’s age, Danny the Champion of the World, by Roald Dahl. David read the entire book over the weekend, finishing it in the car on the way home from church yesterday. 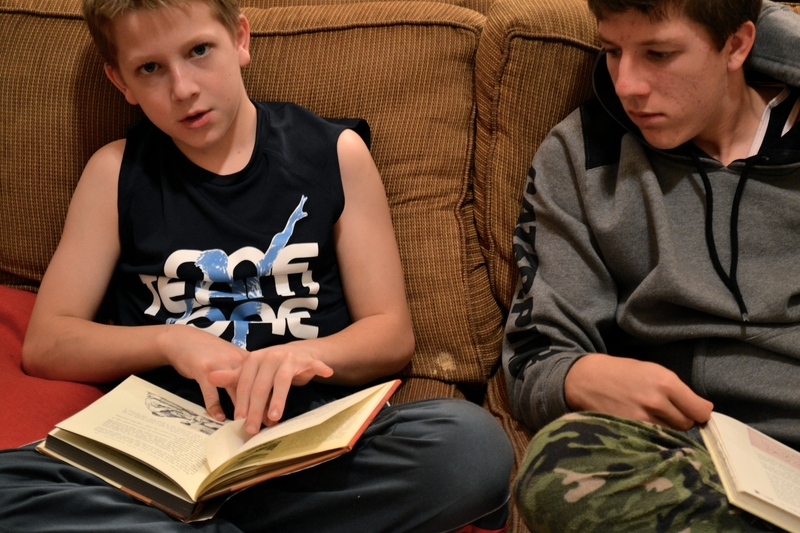 Out of the all the books, David reminded him of the ones he had read, and Ethan gave him a few others that he still has to read (his brother will make him). A couple of them, we agreed, were probably not suitable for his age yet but will be in the “someday” pile. Theodore Boone, Kid Lawyer, series by John Grisham. This entry was posted in life with boys and tagged books, children's books, Ethan, large family, Shanda's book recommendat by Shanda. Bookmark the permalink. I love book lists! 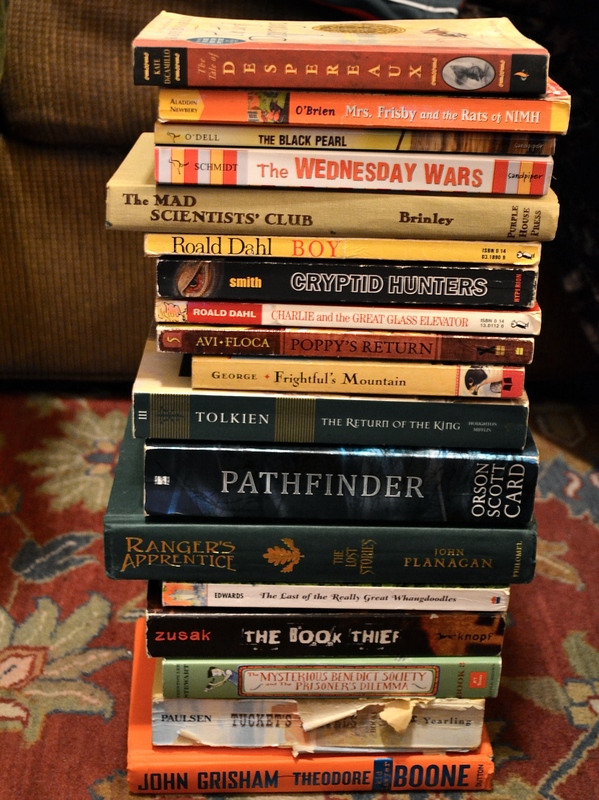 I wish my boys were avid readers… my daughter is! :) I’m not sure I’ll ever be done with les mis.